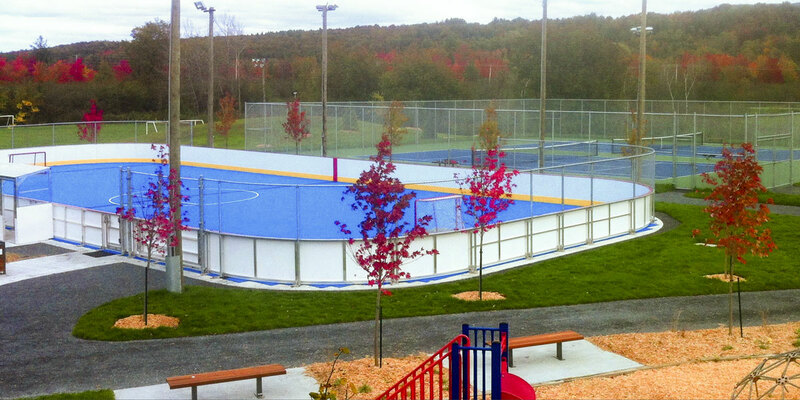 During spring and summer the skating rink's surface is of plastic. Two benches and two nets. Accessible to all between 7:00 am and 10:00 pm every day. In winter, the surface is of ice. Opening hours remain the same.